Burton is known for using recurring collaborators on his works; among them are Johnny Depp, musician Danny Elfman, who has composed scores for all but five of the films Burton has directed and/or produced; and actress/partner Helena Bonham Carter. Also Danny DeVito, Jeffrey Jones, Michael Keaton, Christopher Lee, Sarah Jessica Parker, Michelle Pfeiffer, Alan Rickman, Christopher Walken. He also wrote and illustrated the poetry book The Melancholy Death of Oyster Boy & Other Stories, published in 1997, and a compilation of his drawings, sketches and other artwork, entitled The Art of Tim Burton, was released in 2009. 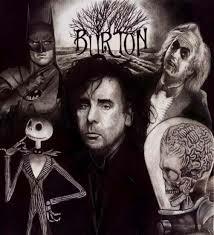 Burton has directed 16 films and produced 12, as of 2012. Burton's successful short film 'Stalk of the Celery Monster' attracted the attention of Walt Disney Productions' animation studio, who offered a young Burton apprenticeship at their studio where he worked as an animator, storyboard artist and concept artist on films such as The Fox and the Hound, The Black Cauldron and Tron. While at Disney in 1982, Burton made his first short 'Vincent' a six-minute black-and-white stop motion film. The film was produced by Rick Heinrichs, a guy Burton had befriended while working at Disney. Burton's next live-action short was a black and white movie called Frankenweenie which was released in 1984 and a little dark by Disney standards - it tells the story of a young boy who tries to revive his dog after it is run over by a car. After this film was completed, Disney fired Burton, claiming he spent the company's resources on a film that would be too scary for children to watch.